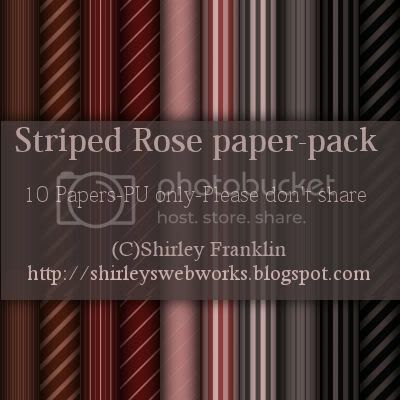 Today I have a rose-hued, stripey paper-pack for you. I have been playing around with color palettes in Colour Lovers. I found this one called Rose Tatoo and it spoke to me, so I made some papers with it. It is Tagger sized as usual and all use is subject to my TOU. Leave some love if you download it, thanks!